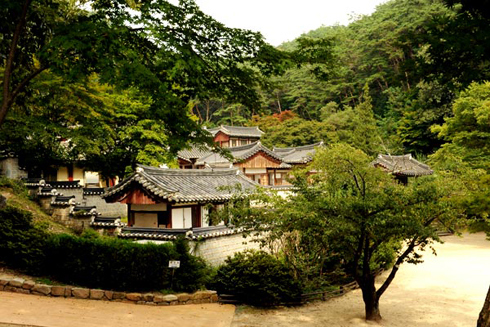 Andong in North Gyeongsang Province is famous for its history as the home of Confucian learning in Korea. 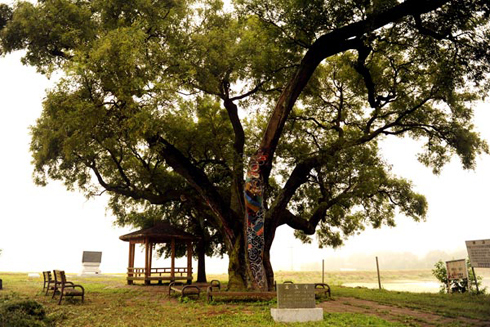 One of the most popular tourist attractions in Andong is Hahoe Village, which was added to the UNESCO World Heritage List in 2010, as well as Byeongsan Confucian School. Many of the homes of scholars and nobles from the Chosun Dynasty, as well as Confucian schools and other remnants of history are well preserved in the city. Liu Jingshao, who is studying mechanical engineering at Andong National University, has recently developed an interest in Korean culture. Thanks to the rising popularity of the Korean Wave in China, Liu has been getting a lot of questions about Korea from his friends back in China. He decided to go on a trip with a school friend in order to find out more information about the country to pass on to his friends back home. This was his first trip in Korea and Liu decided to do some sightseeing in Andong and experience traditional Korean culture. His first destination was the Manhyujeong Pavilion, about an hour's drive away from Andong National University. 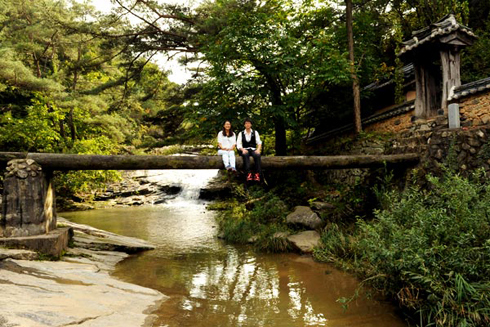 The pavilion and its surrounding forest are considered one of the hidden attractions of Andong. The path leading up to the pavilion is surrounded by beautiful natural scenery. It allows for a relaxing walk while listening to the chirping of birds and the gentle sounds of a nearby brook. Ivy covers a wall above a waterfall leading to the pavilion. The next destination was Gail Village, where the Andong Kwon clan has lived for the last 600 years. Every corner of the village exudes a Confucian and aristocratic ambience. Liu and his friend spent a night at a guesthouse in an old hanok, or traditional Korean home, here, close to the entrance of Hahoe Village. The community sits between a large pond and a mountain towering behind it. In the middle of Gail Village is Sugok House, which was built around 220 years ago. 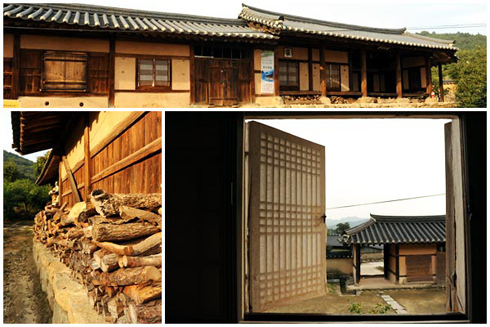 A section of the building was turned into a lodging facility in 2009 after the Gyeongbuk Frontier Culture Foundation took control of it. The house and its surrounding area exude a traditional ambience. After spending a night at Sugok House, Liu and his friend headed to Dosan Confucian School. This was the cradle of Confucianism during the Chosun Dynasty, where renowned scholar Yi Hwang taught students.